In November 1944 a group of friends wanted to distinguish the difference between not eating meat versus not eating any products from animals and so the Vegan Society which Not Dogs is part of, formed. 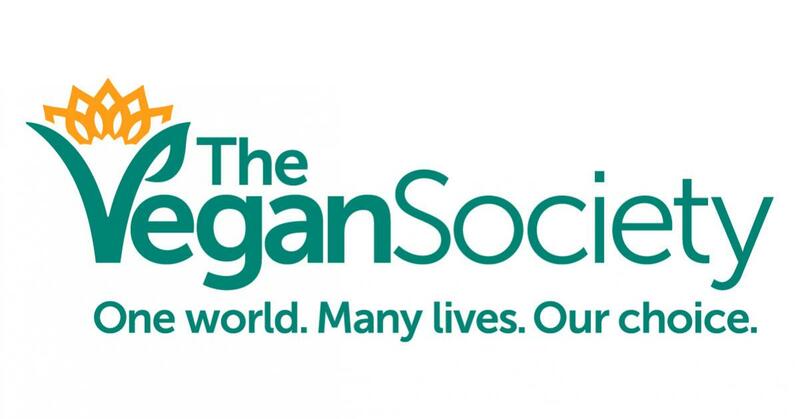 Every November year since 1994, the Vegan Society have been celebrating World Vegan Day and, because of its popularity, it’s grown to become World Vegan Month where vegans and veganism is celebrated all over the world! 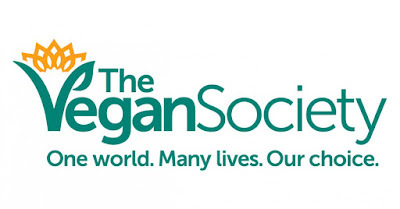 The first ever Vegan Society records show there was just 25 members now there’s over 7,000! The demand for meat-free food increased by a whopping 987% in 2017 and the number of vegans in the UK quadrupled between 2014 and 2018! It’s not only health that’s benefitting from this change; plant-based diet cuts the use of land by 76% and halves greenhouse gases and other pollution caused by food production. This month is a time to recognise how far the vegan movement has come and to highlight how beneficial, easy and accessible (especially now Not Dogs has arrived!) can be. 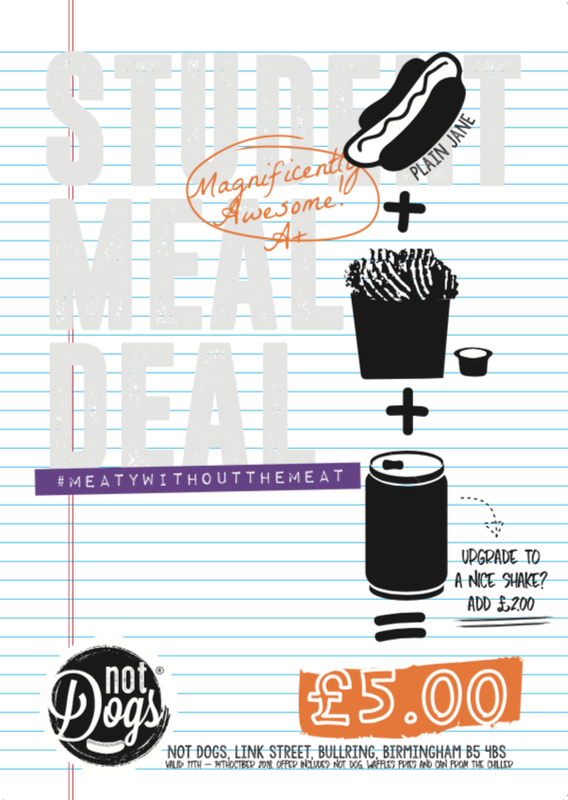 It’s not just for vegans, but everyone can get involved whether it’s simply for World Vegan Day or the whole month with the 30 Day Vegan Pledge - every little bit helps health, animals and the planet. We’re really excited about a new app called VeGuide that the society has developed which launches on the 1st of November. There’s an easy 30 day programme to follow and regular encouraging boosts tailored to your motivation. 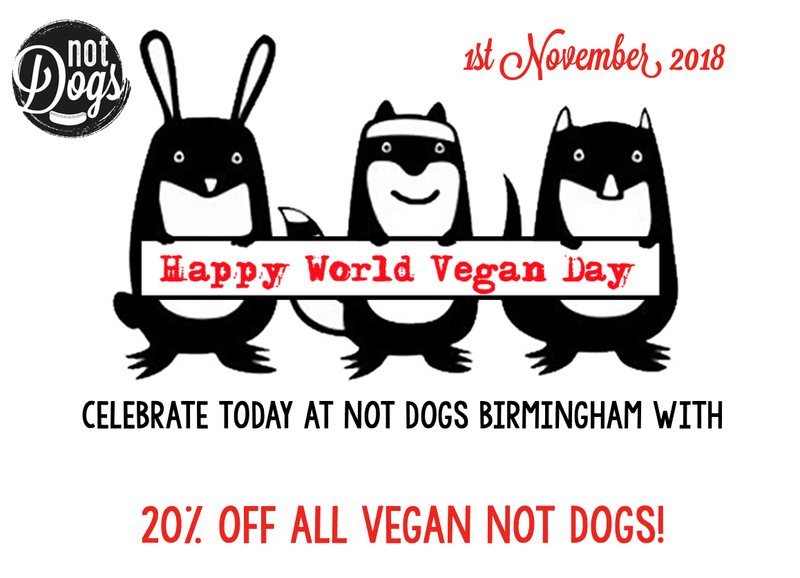 In-store to celebrate World Vegan Day we’re giving you 20% off all vegan Not Dogs! Our utterly delicious seiten-based Not Dogs topped with all-vegan toppings (on request) are a big hit with our customers so, if you usually stick-to our original Not Dogs (we love them as much as you do!) why not try our lightly smoked vegan option and make use of November's special offers!? Happy World Vegan Month! 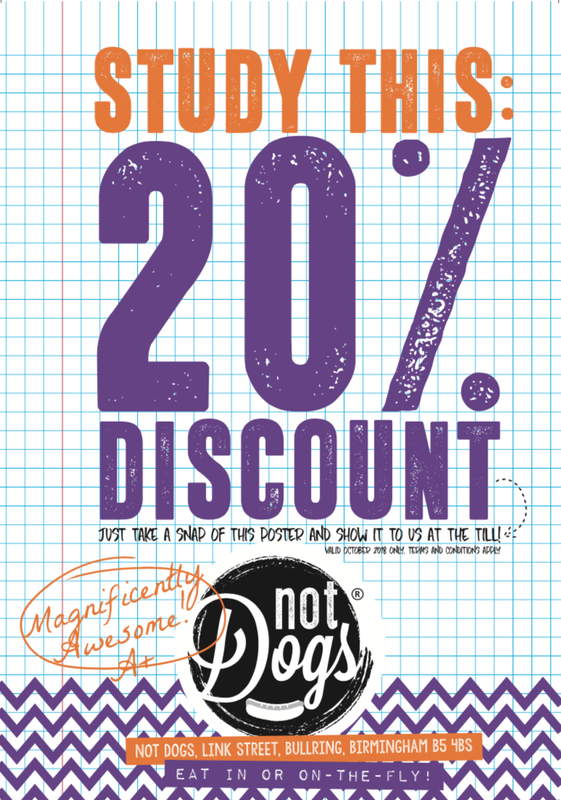 See you for some delicious goodies this November! 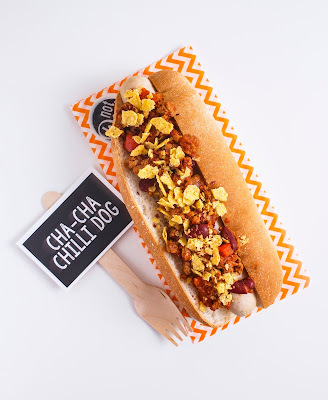 Meat-Free Chilli-Con-Carne AKA The Cha-Cha Chilli! 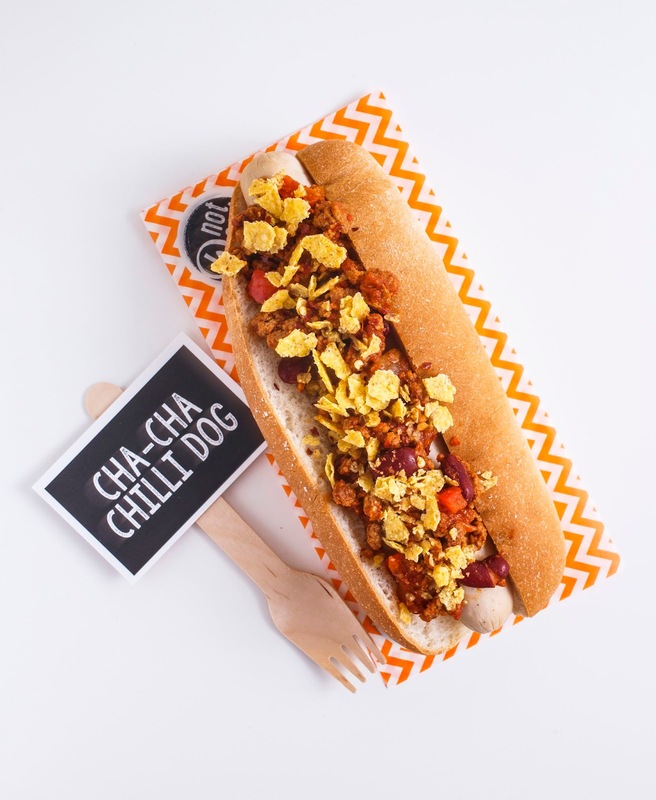 Get cosy whether you're staying in or heading to your nearest bonfire with our vegetarian chilli-con-carne recipe which deliciously tops our Cha-Cha Chilli Dog but goes equally well with rice, spooned onto a jacket potato or simply topped with crushed nachos and chilli flakes. 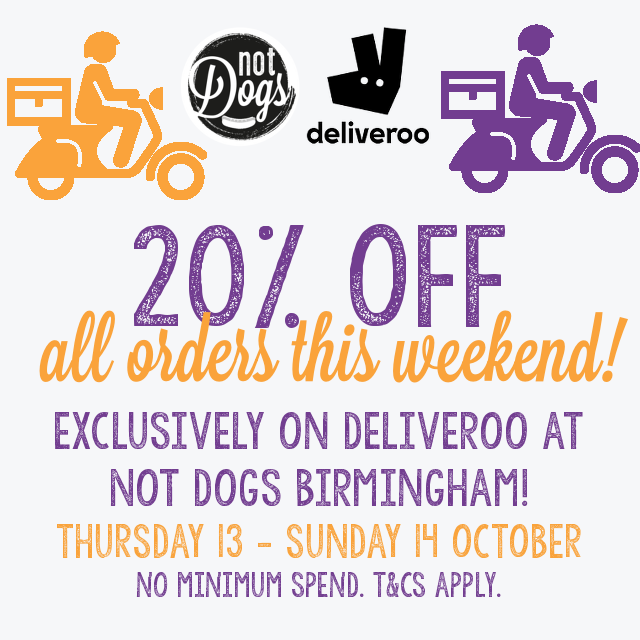 It’s time to get cosy and indulge in some delicious warming food! Cha-Cha Chilli-Con-Carne - serves four hungry people! 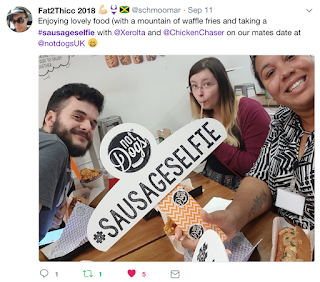 September’s group winner, posted on Twitter by @schmoomar has won a feast for four - Not Dogs, burgers, Nice Shakes, sides… their wish is our command! 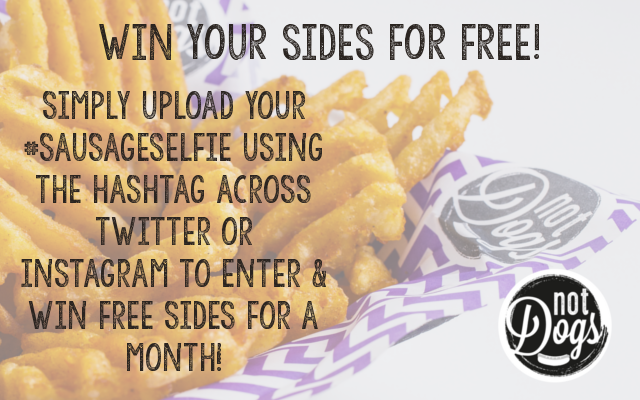 This month you can win free sides for the whole of November! 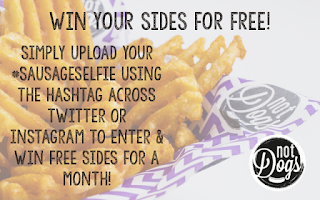 Imagine… all the Waffle Fries and Not Dogs Nuggets you can eat! 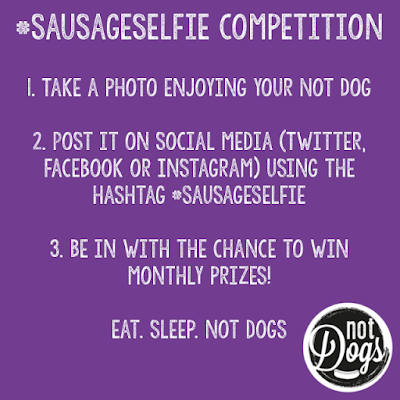 And exciting news too - we’re launching a new top secret ‘special side’ for November so the winner can enjoy that for free too! 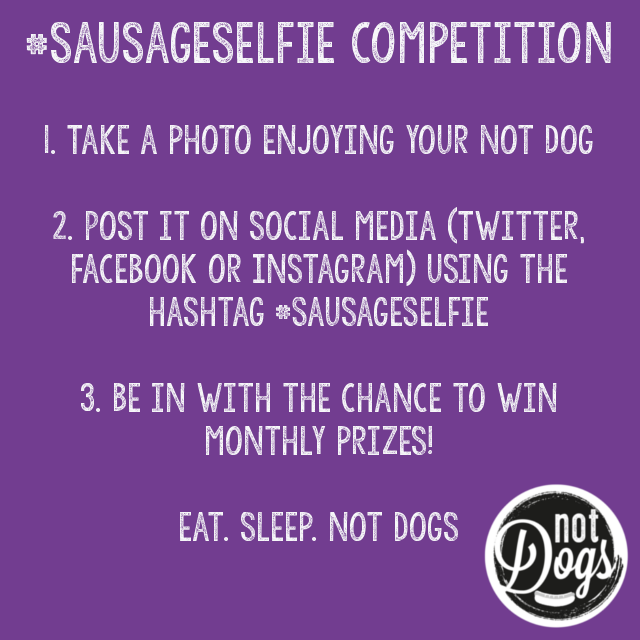 All you need to do is upload your picture tagging in #SausageSelfie on Twitter and/or Instagram this October and you’ll be in with the chance of winning free sides for the whole of November - it’s that simple!